An interesting excursion to two of Portugal's oldest, historically interesting and art-rich cities: Braga and Guimaraes. Our excursion starts with a tour of the town of Braga, which lies 55 km from Porto. Braga was founded by the Romans in the 1st century B.C. Back then it was known as Bracara Augusta. In the 5th century, the Swabians made it the capital of the Kingdom of Galicia. It was also the first episcopal see in the entire Iberian peninsula, hence its nickname, the "Portuguese Rome". It was occupied by the Arabs in the 8th century and liberated in 1040. It later became the primary seat of the Kingdom of Castile and, until Portugal became independent from Spain in the late 1700s, the city was ruled by archbishops. The architectural and cultural development of the city is in fact closely intertwined with the history of the Church and the combination of two important artistic periods - the Renaissance in the 1500s and the Baroque in the 1700s. A perfect example of this is the first landmark we will visit in the old city, the Cathedral, or "la Sé" , a primitive Romanesque building that has been developed, restored and redecorated over the centuries. 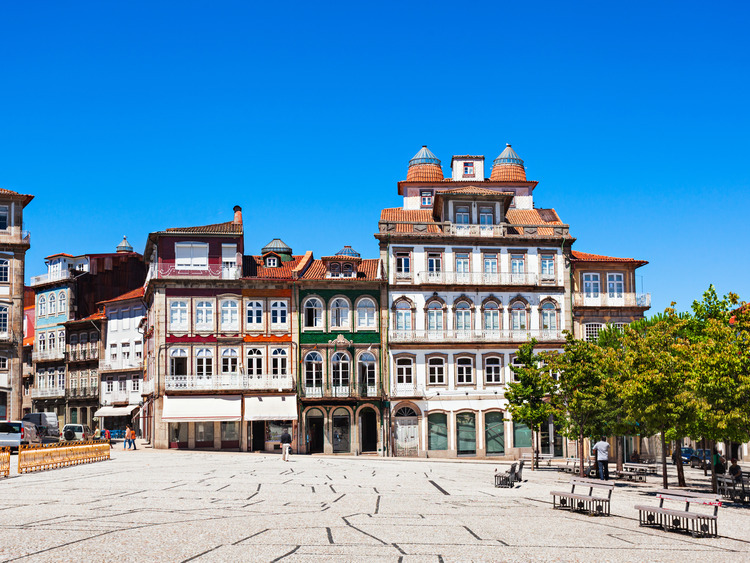 We will then continue towards Guimaraes, a charming little city known for its textile industry and artisan handicrafts. Guimaraes was the first capital of Portugal and it was in the castle here, located at highest point in the city, that the first King of Portugal Afonso Henriques was born in 1109. Please note: Limited number of English-speaking guides available.